Patio Covers & Pergolas - Baker Roofing & Construction Inc. Custom patio covers & pergolas can add the finishing touch to the exterior of your home. 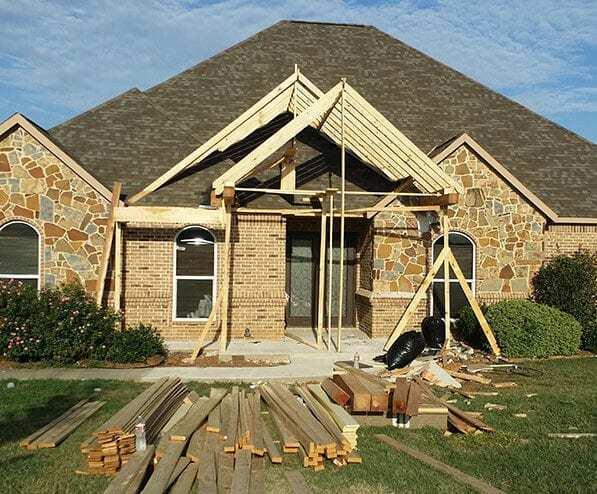 Whether you are looking to add shade by the pool with a cedar pergola or add a porch to the front of your house, Baker Roofing & Construction will assist you in a functional and beautiful design that complements your home. When it comes to designing a new patio cover or pergola, look no further than Baker Roofing & Construction. We specialize in making your new outdoor feature look as if it were built with the house originally. We can use materials like the original for a seamless appearance whether it be brick, stucco or siding. We can also completely customize it to your vision if you choose. Gable roof patio covers add extra height and give an open feeling to your outdoor space. They also can be adorned beautifully with cedar beams and ornamental features. We will frame it into the existing roof as if it has always been there. Flats roofs are the typical image that comes to mind when thinking of a patio cover or pergola. In most cases, they are a more practical design and connect to the roof with ease. These can also be used for attractive carports as well. Using cedar boards for an open rafter design can really transform an otherwise boring patio cover into a gorgeous outdoor feature. Baker Roofing & Construction recommends standing seam metal roofing for most of our flat roofs. This is because of the durability and sustainability that metal roofing offers but we do provide other solutions if a metal roof does not fit your design or budget. Hip roofs are not as commonly used as gable and flat roofs for patio covers. However, for freestanding covers, they definitely fit the bill. Hip Roofs can be built with high ceilings that follow the roof line or even designed to include attic space for extra storage. 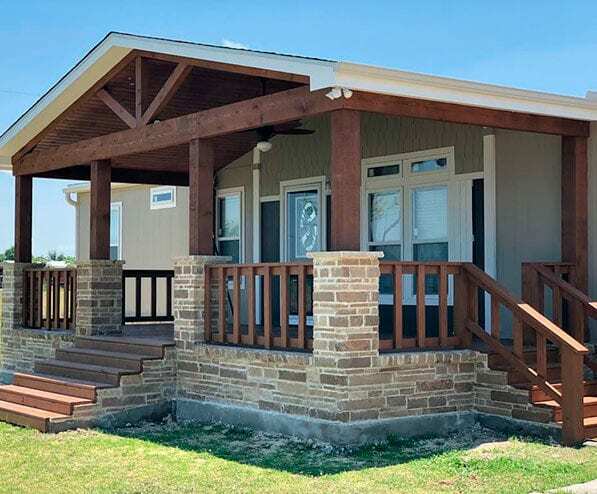 Pergolas or arbors are a beautiful wooden feature that has rafters yet are roofless. They allow sunlight to pass through while still providing some shade. Sometimes vines are trained to grow up them and create more shade and beauty. Pergolas go well in gardens, near pools and work great as patio covers too if the shade isn’t of priority. Baker Roofing always uses the best materials for your project. For most outdoor projects we recommend cedar or redwood for their beautiful and rustic appearances. However, if rock, brick or stucco is the design you want, we can accommodate those materials as well. When it’s time to get your project started, Call Baker Roofing & Construction. Our professional estimators will discuss your project with you, give our recommendations and provide you with a free, no obligation estimate. Baker Roofing & Construction is More than just a roofing company. We are the only call you need for all your construction projects.